Super Mario Odyssey will be celebrating its first anniversary with a special event. 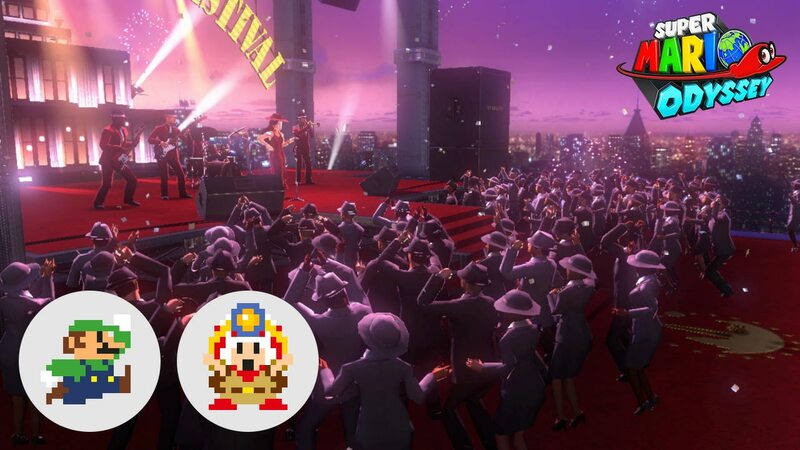 Starting October 27, the New Donk City festival will feature a total of 39 8-bit Luigi and Captain Toads. Doing a ground pound will provide you with coins. In Japanese, “san” represents the number 3. Then for the number 9, we have “kyu”. If you put them together, it’s supposed to sound a bit like “thank you” (san kyu). This Super Mario Odyssey event will be going on until November 7.